UK-based Yorkshire Bank and Clydesdale Bank – which together form CYBG – have launched a new digital banking platform, as CYBG gets ready to become a standalone challenger bank. The new platform is called “B” and CYBG teamed up with proposition design consultancy Market Gravity to design and launch the new service. 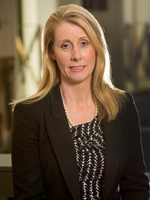 Debbie Crosbie, COO at CYBG, says the bank positions it as an offering to “help customers better understand and control their money”. The platform was initially piloted with staff and received a “positive” response. According to Crosbie, this development follows investment of £100 million a year on technology and change in their organisation. The bank says in 2015 and this year, the annual investment was around £150 million. The new platform offers additional online products sales, including instant access savings account; and digitise its online credit decisions. At the back office, CYBG’s comprising banks are long-standing users of Misys’ Equation core banking system. “B” is the first major product launch by CYBG since its demerger from National Australia Bank (NAB), following three decades of being part of the NAB group. CYBG was floated on the London Stock Exchange and Australian Securities Exchange in early 2016 and was valued at £1.6 billion (approximately 40% of book value). NAB paid £420 million for Clydesdale Bank in 1987 and £900 million for Yorkshire Bank in 1990. In its intention to float statement in December 2015, CYBG said it aims to offer a “differentiated proposition relative to the UK challengers” and has “a clear strategy to drive growth and deliver double-digit RoTE [return on tangible equity]”. It also highlighted its “omnichannel strategy underpinned by comprehensive digital agenda”. CYBG has around 2.8 million retail and business customers, with £26.3 million of customer deposits and a £28.7 million customer loan portfolio. Mastercard and Clydesdale and Yorkshire Banks (CYBG) have unveiled a seven-year agreement that allows for all CYBG debit, credit and commercial cards to use the Mastercard network.